Here at The Campaign Workshop, we work on and teach advocacy. The resist List is a helpful tool. Throughout our years being a part of successful campaigns, we’ve gotten to know the work of some great organizations that do amazing work for their communities, states, and our country. 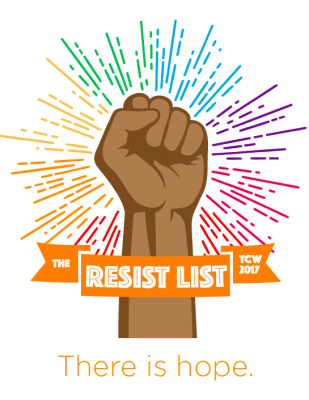 We hope that this list inspires you to volunteer, donate, or engage with these organizations and that you join us in resisting the Trump administration! Interested in downloading this eBook? Fill out our form and check your inbox! Happy reading!